Howdy folks & welcome back to Kangji’s Daily Snapshots… 6 Years later! Each day I will post a screenshot (via imgur) of Kangji at an undisclosed location somewhere on Azeroth (or Outland/Draenor). The aim of the game is to accurately describe the location of where the daily snapshot was taken… The following is just an example! I will post a daily snapshot today, tomorrow I will reveal it’s location, name the winner(s), then proceed to post the next daily snapshot & so the cycle will continue. 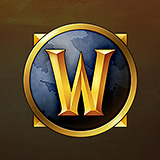 So if you fancy testing your World of Warcraft knowledge in a more visual way & without really being able to just Google the answers (like you can with most other World of Warcraft quizzes), then feel to join in the fun, everyone is welcome! Good luck, have fun & thanks for taking part! Just wanted to pop in and say this is a really cool and fun idea. Thanks for starting it up Kangji, and thanks to all those who’ve taken part so far!